With a number of online poker providers trying to keep their sharks from eating all of their fish and ruining the “poker food chain” at the site, we asked, is player segregation the future of online poker, in an article last month. This phenomenon isn’t something confined to small online poker rooms either; table segregation –disallowing experienced and winning poker players from playing at certain tables—has been implemented at major rooms and networks like the Revolution Gaming Network, Party Poker, and now Full Tilt Poker, which added “New to the Game” tables this week. Lock Poker first segregated some of their tables from the rest of the Revolution Network, in an attempt to keep rakeback grinders from decimating the more casual players who sign-up through Lock Poker. Later, Lock and Revolution Gaming announced they would be moving to a full segregation based on experience and skill, much like Party Poker’s plan below. Party Poker is using a grading system based on a player’s profit/loss sheet as well as the length of time they have been playing on the site. Players who qualify would be able to play at specific tables designed just for new and losing players –although they are also capable of playing at the site’s other tables as well. Full Tilt Poker is taking a lighter touch in their segregation, allowing players to sit at the “New to the Game” tables for just 2,000 hands when they first join the site. So unlike Lock Poker and Party Poker, Full Tilt Poker will not be grading their players, but will simply give them 2,000 hands to get their feet wet with players of similar skill and experience before being tossed into the shark-infested waters. To find a New to the Game table, whether ring game, scheduled tournament or Sit & Go tournament, we recommend you use Basic View of the Full Tilt Poker lobby. Basic View is an interactive guide designed to help you find the games you want to play via step-by-step instructions. To enable Basic View, open the Options menu in the game lobby and select Lobby View > Basic View. When searching for your preferred game in Basic View, you will be directed to New to the Game tables if you’re eligible. If you are no longer eligible to play at these tables, you will automatically be directed to our standard tables. 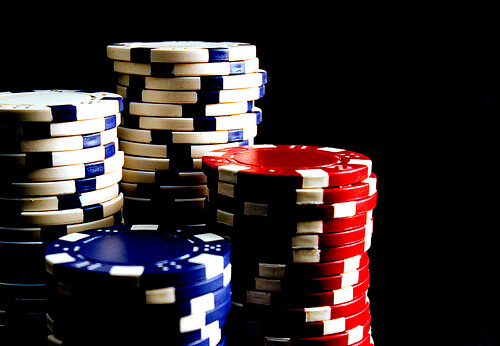 The idea of segregated tables has caused quite a debate among poker players. On one side are players who feel that the allure of poker is that you can play with anyone of any skill level at any time… so long as you have the money to buy-in to the game. On the other hand are players who see data-miners, bum-hunters, and grinders chasing down new and losing players as killing the poker ecology.